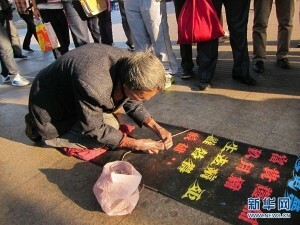 A beggar named Chui Xianren recently became famous after pictures of his handwriting leaked on the internet. Begging on the streets in Shangdong, Chui would often write lists of life opinions in remarkably beautiful style on the ground adjacent to him. 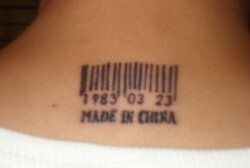 Founder Electronics, the biggest Chinese font supplier in the world, has decided to buy Chui’s handwriting.